There’s just something about a DIY Christmas gift that warms my heart. You can show your friends how much you care about them without breaking the bank. 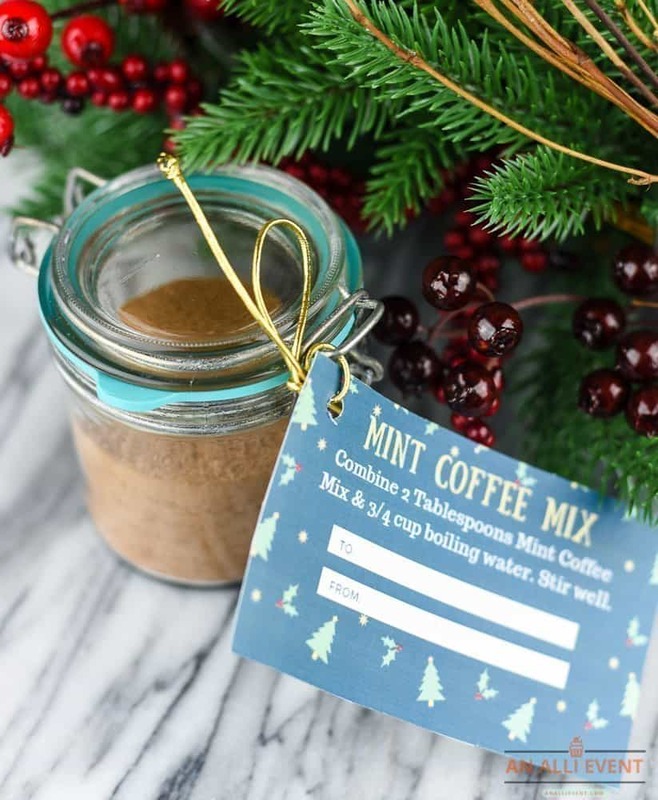 I like to keep a few jars of Mint Coffee Mix on hand to give to friends during the Christmas season. 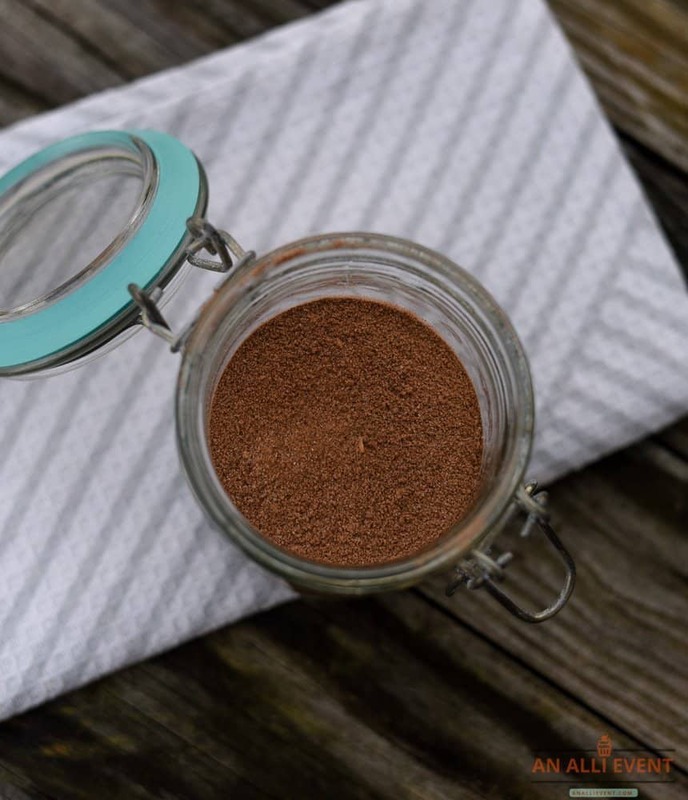 These are also great hostess gifts or party take-home favors for your guests. Welcome to the Second Day of the Fourth Annual 12 Days of Christmas Series! 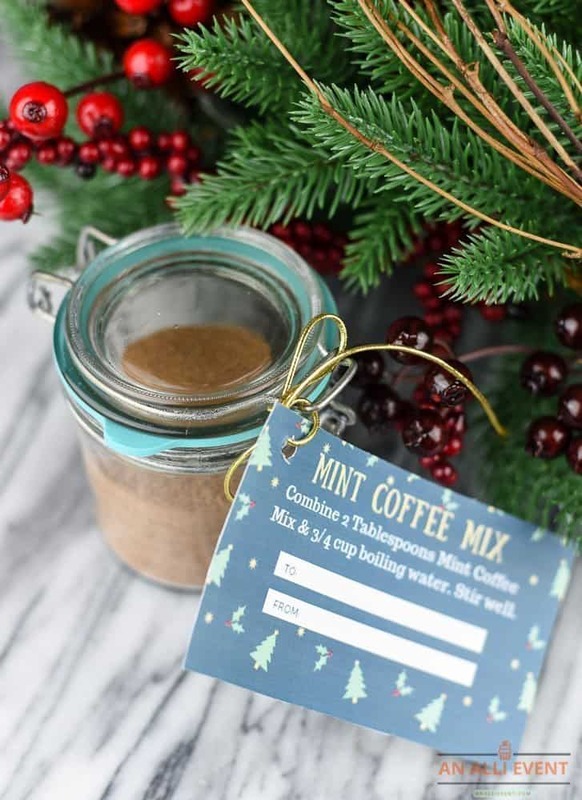 Mint Coffee Mix is so easy to make and it’s a fun and tasty gift. You can make one jar or as many as you’d like. I also keep a jar for myself to have on hand when family and friends come over to visit. 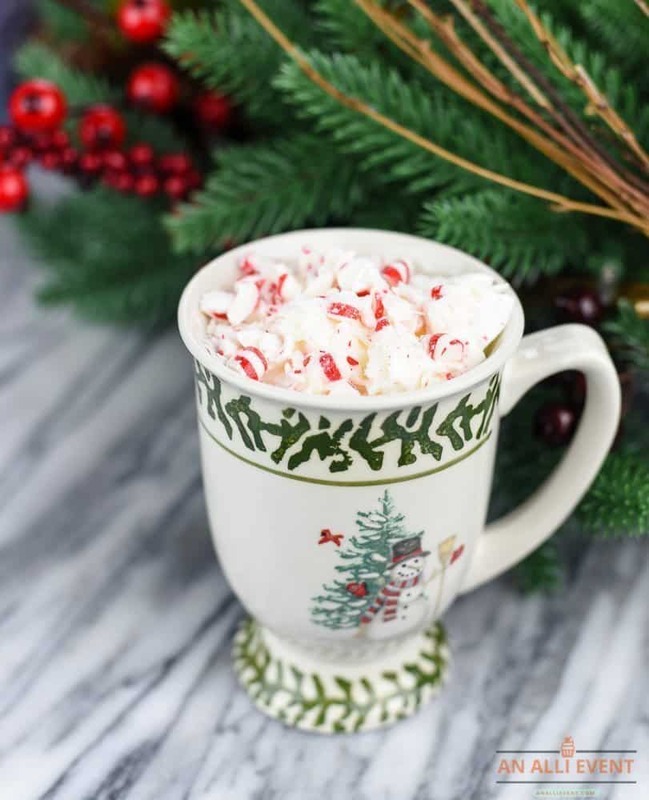 The mint adds a delicious holiday taste to the coffee mix. 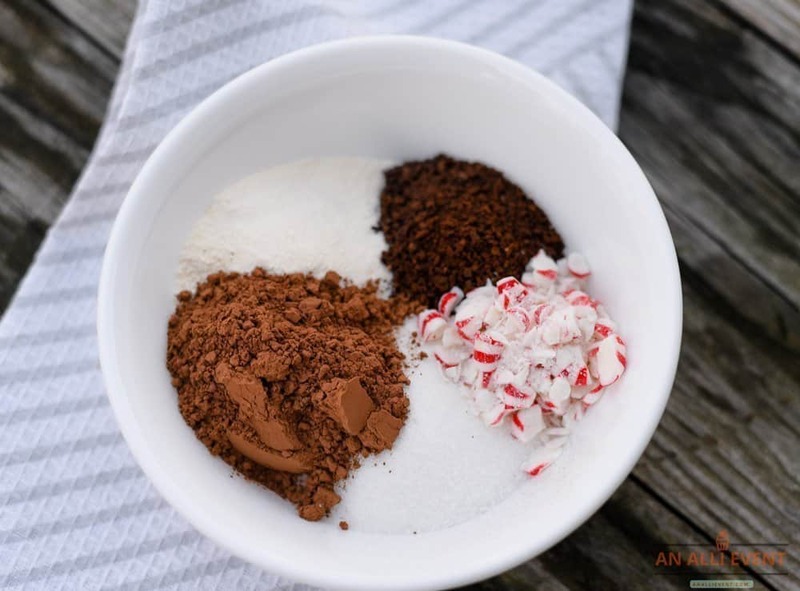 Mix instant coffee granules, powdered non-dairy creamer, sugar, cocoa, and crushed peppermint candies together in a blender or food processor. Place in a pretty jar, add the FREE printable gift tag and your DIY Christmas gift is done. I use decaf coffee for the jar I’m keeping for myself. That way, the older grandkids can partake and they have declared this delicious! Helpful Hint: I usually double the recipe and use a larger mason jar. You could even triple the recipe. It’s best to use cardstock when printing your tags. Add all ingredients to a blender and process until blended. Store in an airtight container. To serve, combine 2 Tablespoons Mint Coffee Mix and 3/4 cup boiling water. Stir well. You’re sure to find more than a few DIY gifts that you’ll want to give to friends and family. Scroll down for many more DIY Gift Ideas! This sounds yummy! I’ve been known to add hot coffee to a package of hot chocolate so I’m sure that I’d love this! I’m dreaming of a cup of this mint coffee right now. Coffee is my favorite favorite drink!